It’s that time again, folks. Time to sing the Bon Jovi song! This is a tradition. I will probably get tired of this song at some point, but for now, it’s what I blast when I’m celebrating my success in getting to the halfway point of a novel. It’s all downhill from here! I’m tentatively shooting for January for a publication date, but there are still a lot of moving parts so it will depend on if I can keep it together over the next three months. I officially hit 50,000 words sometime Thursday. In celebration, I gave myself three days off of work and writing. The idea was that I would get some to-do’s struck off the list but I just ended up going to parties and baking things. Which is also fun. 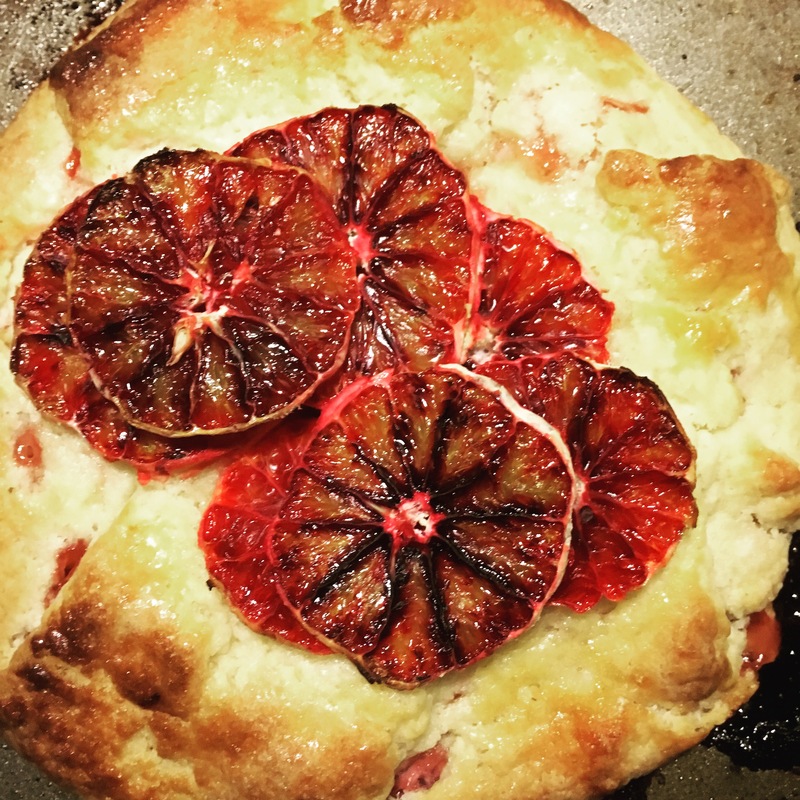 Look at this gorgeous blood orange tart that I made! I only ate a bite of it because by the time it came out of the oven I was too full of goat cheese and potato galette and magical pasta and salad to really dive into this, but I can testify that it was delicious. The crust is transferable to any fruit and it’s not the worst crust I’ve ever worked with, at least, so I may be making more of these as the fruit comes in over the summer. Peaches would be especially lovely, with cinnamon…yeah, I’ll definitely be making more. I also went to a Greek gods and goddesses party as Demeter Friday night, which was tons of fun. I wish I had pictures from that event but I don’t. You’ll just have to imagine my awesome wheat braids and green toga, until I get someone to send me photos. Oh, and Saturday was the Roanoke Author Invasion! That was a very inspiring event, it taught me a lot about the potential for marketing my books and gave me a lot of things to think about. And I found some great new books to enjoy! Generally a fun time, and again something I should have probably taken pictures at but such is life. You’ll have to imagine the amazing banners and such – or better yet come out to the next one! That’s the news from my end. I hope you have all had a great weekend. Oh, and if you’re interested, I’ve created a Facebook group for readers of the Creation Saga which you can find here.